Jane and I want to say thank you for taking such good care of Jamie, Doug, Caleb, Beacon and soon to be Avery. We are overjoyed at the choice they made and your help was such a huge part of the project from start to finish. Their new home can take them many years into the future and the safety of the neighborhood with it's large cul-de-sac will allow the kids to be kids. Thanks again for your excellent guidance and work on all of the family homes you have helped with. My husband and I had the wonderful privilege of working with Jen on the sale of our 2 homes. 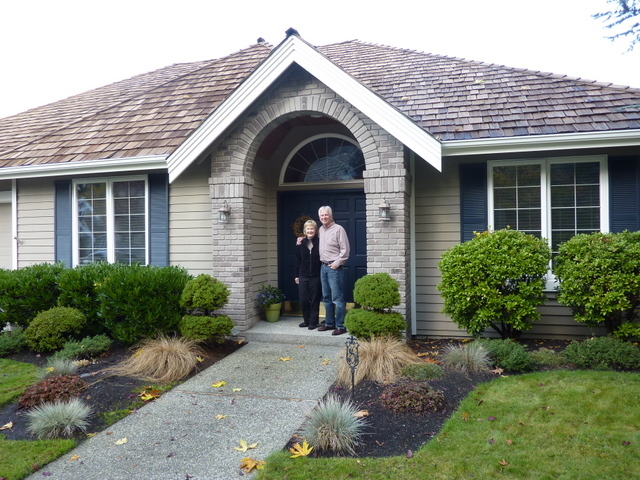 Each home sale was a real challenge and she pulled us through all of the rough times and made it seamless. One home was our primary residence and the other house was for investment. I would give her more stars if allowed. But let's just say, she is fantastic. She is one of those agents that goes beyond the call of duty and made sure we were always informed and always doing well during difficult times. She is just a pure blessing. Anyone looking for the perfect agent.... doesn't need to look any farther. Jen is the ONE! From the start of our search to the final closing phone call, our experience with Jen Bowman was an amazing one. As we began our search, Jen fine-tuned our search requests and her persistence and patience was so appreciated. Seeking through the listings, she guided us in selecting homes that best fit our lifestyle and needs. She gave us insight in the reality of the possible outcome and her knowledge of the market made us feel she had our best interest. When we found our future home, Jen worked diligently to help us make a reasonable offer. She didn't let the impulsivity of the market cause us to make any decisions that were out of our reach. After having our first offer refused, she encouraged us to be patient and a few weeks later our offer was accepted. During the time before acceptance, Jen was continually working with the builder's agents to make the offer a reality. Her advocacy was obvious as she countered with the agents, getting the offer we had hoped for. She works hard, she probably doesn't sleep. Once the offer was accepted we needed to sell our current residence. Jen gladly took on her seller representative role. She gave us advice on how to make our home most presentable and helped stage our home beautifully. Her technique made it almost impossible for a potential buyer to miss any of our possibly hidden upgrades. 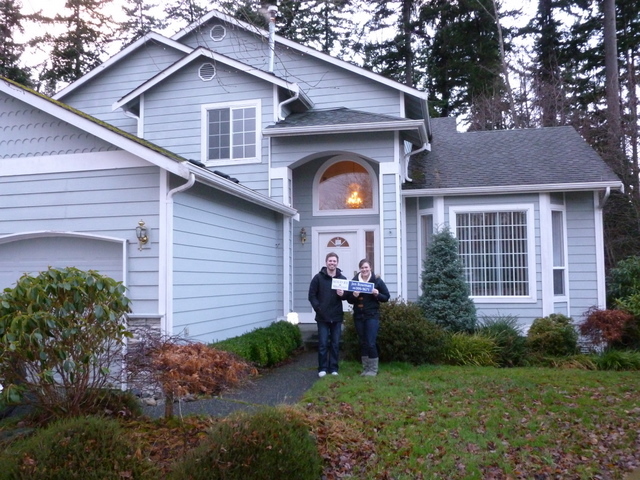 After only three days, Jen had two buyers making offers. During the process Jen was in constant communication via email and phone. When we had questions she responded immediately. The entire process of buying and selling was incredible. Jen works hard! She has the best interest of her clients. She has impressive knowledge of the market. She knows the ins and outs of selling a house. She knows the tough questions that need to be asked when buying a house. She has connections in the community to get answers from various municipalities and companies connected to properties and homes. We cannot recommend Jen Bowman highly enough. She is a pleasure to work with and her hard work really made the experiences of buying and selling positive. We have had such an incredible positive experience working with your branch but specifically working with Jen. She is an exceptional agent and person and we recommend her to everyone! I cannot think of anything I would change with her approach. She is the best! Buying a home is a great event in my life and a long time coming. I got exactly what I wanted and Jen is a breathe of fresh air. I don't think this would have happened without her! Can't say enough about her knowledge and efforts to make this purchase happen. So nice to work with good people! Jen did a great job for us. We are looking forward to working with her in the future...on the buying end. So nice to work with good people. Jen was just amazing, and I cannot put into words how lucky we feel to have had her to guide us through this process. Her hard work behind the scenes and time spent with us went above and beyond what was expected - She even had our carpets professionally cleaned prior to move-in! Jen's professionalism, logic, guidance, and kindness were absolutely invaluable. We can't wait to connect someone interested in buying or selling with Jen so they can reap all the benefits of having her on their side during the home buying process. My husband and I have bought two houses over the past six years from Jen Bowman. We had excellent experiences both times in purchasing our homes. Jen's knowledge of the market and pricing gave us realistic expectations for buying in the current market. She keyed in on our taste and needs to find us the ideal house on both occasions. She encouraged us to buy in the right neighborhood for our needs. The whole process went smoothly and our questions during that time were quickly answered. We would certainly recommend her to anybody looking for a home that will suit them. She has a sense of humor that was appreciated when we had "buyer's jitters". We feel fortunate that she was our agent.